Meeting the challenges of oil dependence and global warming calls for big changes in the way our cars are powered. Today automotive technology is blossoming, and dramatically different vehicle options are making their way into the marketplace. 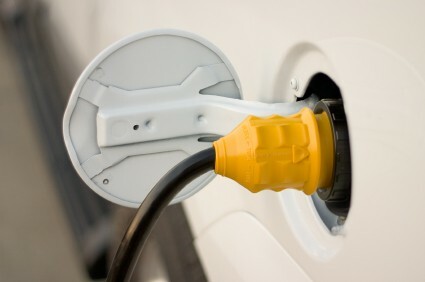 Plug-in hybrids and battery electrics will hit the market this year. Interest in natural gas vehicles is picking up again due to increased optimism regarding domestic supplies of natural gas. Both technical and policy issues need to be addressed to take best advantage of advanced technologies and to ensure that their arrival supports environmental and economic goals. In parallel with the appearance of these new technologies, the internal combustion engine Is evolving, cleaning up the vehicles already on offer and presenting a real challenge to advanced technologies as the best bet for cost-effective energy savings. Several “clean diesels” are manufactured today, with superior fuel economy. Direct injection, turbocharging, and variable valve timing, among other refinements, are allowing gasoline engines to become steadily more fuel-efficient as well. Beyond the engine, lightweight materials, better transmissions, and component electrification are reducing fuel consumption substantially, Hybrid-electrics are now available in most market segments. Recent increases in fuel economy standards and recurring run-ups in the price of gasoline mean manufacturers and consumers are more focused on fuel economy today than they have been for decades. ACEEE assesses the potential for new vehicle efficiency technologies to meet environmental and economic goals. We help to develop and analyze policies that will help bring promising technologies into the marketplace and help them to thrive there.